A very nice post. A couple of questions. You write, ” under certain circumstances, long-term, sustained inbreeding can, in fact, lead to increased frequencies of “genes for altruism” in a population . . .” First, when you write “genes for altruism” does this mean “genes for kin-selection”? 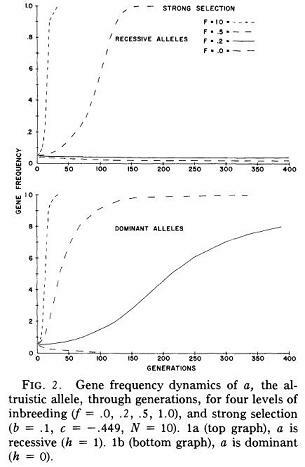 And second, when you refer to increase in frequencies, doesn’t this imply (suggest) that there are one or more alleles out their in the general population which favor kin selection but they normally (in out bred populations) occur at one frequency, but tend to increase in frequency in inbred populations? Do you think some of these genes go to fixity (100% frequency) in inbred populations? If you do then that would support your thesis that inbreeding can lead to real divergence, not merely the idea (which I have tended to support in the past) that all populations have the same set of fixed genes governing kin-selection, the difference being that these genes have much wider influence in societies in which the average person has a lot more close relatives. But if it is also about frequencies, what about the idea of balanced selection: that certain ratios of different alleles governing this sort of behavior are ideal for the population (group) as a whole in the same way that (it has been hypothesized) a group benefits with a spectrum of personality types (some nerds, some heroes, some athletes, etc.)? i’ll come back to that in another post. i had planned to address that in this post, but this post got kinda long on as it is, plus i ran out of time (need to go figure out what to ask pinker in this ama this evening…!). briefly, when i say “genes for altruism” i mean genes for altruistic behaviors (in the biological sense of the word) AND genes for other “social aptitudes” that i haven’t thought much about (like spite, maybe). but i think that you wind up with more genes for my “familial altruism” in inbreeding groups than outbreeding groups — and i think you might wind up with genes for some other sort of altruism (“extra-familial” altruism? “reciprocal” altruism? dunno what to call it…) in outbreeding groups. i’ll get back to this in another post, though. yes. but maybe, too, that new behaviors arise in inbred populations. dunno. i think we’re going to find that most of human biodiversity relates to differing gene frequencies in populations and not out-and-out total divergence between populations. differences in gene frequencies between populations is all you need for humans to be biodiverse. @ hbd chick “- outbreeding = in a population, a general pattern of regular and sustained mating in which individuals avoid second cousins or closer.” Good definitions. Good discussion. Of course “outbreeding” now includes high fertility, stable fertility and abnormally low fertility. There are some missing words , but that’s hardly your problem since it is not your interest. Might this familial altruism not be a matter of how different people have made a living? It’s easier to steal cattle than land so the pastoralists with a familial altruism would be selected for. This quality could then cause inbreeding rather than the other way around. It seems in line with the fact that pastoralism and inbreeding (and islam) roughly coincide. Forgive me if you’ve already covered this since I’ve only recently taken an interest in this HBD business. one of my favorite anthropologists, a russian guy named korotayev, has talked quite a bit about the connection between pastoralism and the favored cousin marriage form in the arab world (father’s brother’s daughter marriage). i linked to his paper on this arab marriage form in this post. the thinking in anthropology is that this patrilineal form of marriage keeps the herds in the extended family — if you never marry your daughter out of the patrilineage, she’ll never take any sheep or goats or camels or whatever away as part of her dowry. i talked about pastoralism and inbreeding more in this post, too — and i know it’s come up several times in discussions here, but lord knows on which posts (sorry). there seems, in fact, to be a general pattern of people living in upland regions marrying closely while people in lowland regions marry out more (see also here). and there’s obviously some sort of connection there again with pastoralism — uplanders more likely being pastoralists, lowlanders more likely being agriculturalists. oh, that’s VERY interesting, thank you! i like the study that produced these numbers ’cause they only included individuals who could prove that their parents AND grandparents were from whatever country they were from. good stuff. i’m still astonished by those numbers from italy (samples from the human genome diversity project). i would’ve guessed that the italians would’ve had longer more rohs, too, but the samples are from northern italy (tuscany) so maybe that’s right. @ Greying Wanderer “Same. Based on my geographical way of looking at it i expected the Po valley to be similar to northern europe but not so much further south than that…” An Italian friend once told me that when his parents got married they had to “pay the pope” for a dispensation allowing them to do so, since they were cousins although outbreeding by the current definition. I have never heard of that elsewhere. Do you suppose that the Church was really able to impliment its aggressive outbreeding policy more effectively in Italy than elsewhere? roh = runs of homozygosity. the presence of more/longer runs of homozygosity in genomes is a good indicator of endogamy/inbreeding. @hbd chick “roh = runs of homozygosity. the presence of more/longer runs of homozygosity in genomes is a good indicator of endogamy/inbreeding.” And as I understand it, roh accoumulate over multiple generations, which is makes it extremely valuable in assessing in-outbreeding specifically as you define them. edit: i want to see more samples from italy done. these hgdp samples don’t have any provenance info attached to them apart from “tuscany.” a little more info would’ve been helpful — like these samples from russia — like dienkes and his dodecad project, they’ve tried to make sure that their subjects were actually russian or whatever. did they do that with the hgdp samples? who knows?! if they were first or second cousins, that’s inbreeding by my definition. second cousins and closer = consanguineous marriages = inbreeding (on this blog — for now anyway! (^_^) ). oh, yes. this was one of luther’s (and other protestant reformers’) objections: indulgences and dispensations. and the new protestant churches redefined who you could marry — they wanted, of course, to go strictly by the bible — leviticus — so there would be none of this cousin marriage banning in the protestant churches (at least at first — some of them brought it back eventually — in switzerland and sweden, for example). well, it implemented it in a way in italy. 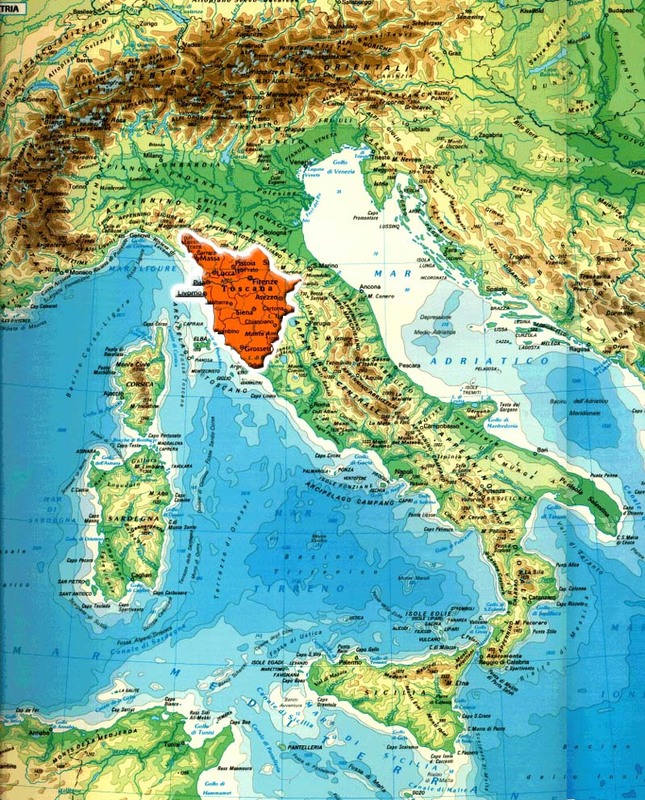 see the historic cousin marriage rates for italy in this post. pretty high! the church in italy didn’t really seem very effective when it came to stopping cousin marriage — they seemed more interested in collecting the dispensation (esp. in southern italy)! you one told me that i likely had some inbreeding in my family tree because i have brown eyes (they’re more goldish but i call it brown). why is that indicative of inbreeding? @rjp – “you one told me that i likely had some inbreeding in my family tree because i have brown eyes (they’re more goldish but i call it brown). that was linton, not me. That was irony. I was pleading for a definition. What we had then was, so far as I could tell. Inbreeding = marrying relatives, icky, icky, immoral, fattening. Outbreeding = marrying those unrelated, noble, worthy, leads to high mindedness and swelling background music. So I said, “Great. Well we’re all relatives (even with pumpkins) so I guess we’re all inbred. If you have brown eyes, you exist, hence you are inbred.” Not the nicest attitude, but I really thought we needed a defnition. We now have one. Many thanks to hbd chick for spelling it out for us. Incidentally gold eyes, like hazal, probably requires some chromosomal recombination, which means a blue eye and a brown eye had to marry generations ago and then have the progeny survive to the present. I my guess would be you are from an old, say at least antebellum, American family. That would be my guess. Just a likelihood it is even that. It could happen anywhere, but I seldom see hazel outside of the US, even though Mercutio mentioned them. No, i don’t think it was able to impose the policy very effectively anywhere except in *new* manors cut out of the forest with the spread of the heavy plough and i think most of those new settlements were in the north. 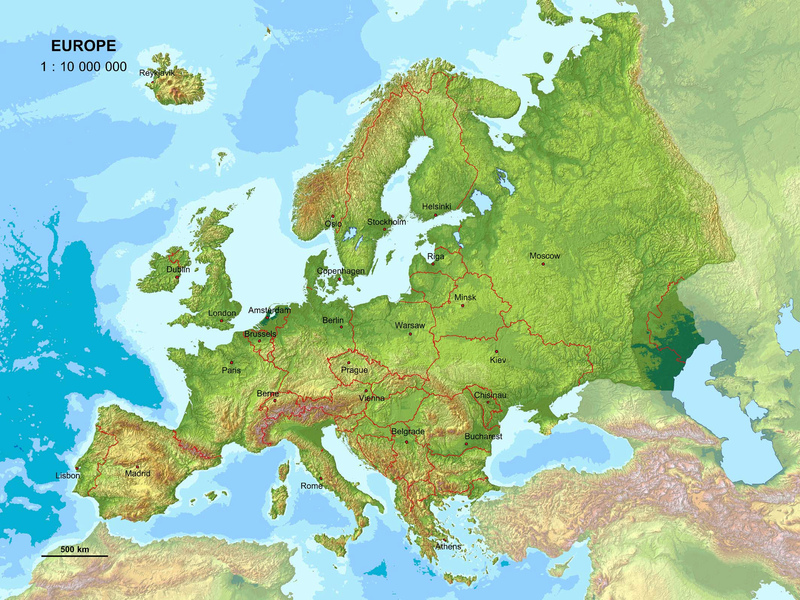 that would includes places like the Po valley in northern italy, the Ebro valley in Spain, the Rhone and Seine valleys in France etc. All of which were outweighed when that big chunk of flat land along the north european plain could be fully farmed once the heavy plough came along. @ Greying Wanderer “No, i don’t think it was able to impose the policy very effectively anywhere except in *new* manors cut out of the forest with the spread of the heavy plough and i think most of those new settlements were in the north.” That makes sense. And it was in those places that the reformation got rolling. Coincidence or smouldering grudge? And somehow I suspect there are (or were) differences beyond theological technicalities between flavors of Christianity, like maybe authoritairanism being liked or disliked or maybe preference for local or distant authority. Sorry. I ramble. But I like your point. It’s like partial cloning where little strips of dna are identical between two people. Inbreeding is like DIY cloning. Quite. The odd irony being if the outbreeding had its origin in religion then the people who went along with it the most may have been the most religious so the most religious Catholics could have been the ones who ended up becoming the Protestants – but only in the regions where the cousin ban could be enforced. I think there’s an echo of the same thing in the Puritan wing of PC – although now atheist they still have unusually high levels of religiosity which gets applied to their political idealogy. Some days I think atheism is just another Protestant denomination. Somebody could set up a Church of Atheism that worshiped The God Who Is Not, claim that Nothing is the ultimate truth, the universe (including the rules of inference) was created by Nothing. Apologize for atheists who try to force their opinion on others. Point out that there are lots of govenment buildings and documents that have Nothing religious on them and that although this violates the division of church and state it does mean that Nothing is winning. Celebrate political correctness because it has Nothing going for it. Then I pull myself together, remind myself that solitaire won’t play itself, and do something more productive. yes, agreed. the church started to more effectively enforce the cousin marriage bans sometime in the (iirc) 1000s or 1100s when wedding ceremonies started to be held in churches. before that, it must’ve been patchy at best. i read a neat article the other night about early medieval bavaria — and now i can’t find the reference, of course — which included some info about how ecclesiastical manors were swapping tenants back and forth — and it was usually female tenants that were being moved around, and the author figured this was all connected to marriage — so i was thinking that perhaps these were cousin marriage bans being enforced and, perhaps, they were enforced from early on on ecclesiastical manors. but plenty probably slipped through the cracks on other manors. not a coincidence, i think. i think the populations that outbred the most became the most individualistic/universalistic and, so, protestant ideas — like an individual ought to be able to have direct contact with his god and not go through a priest or pope — developed in those populations. Linton: My surname and the relative from that limb came into the country in circa 1730s/1740s. So you made a good guess. It would nice to be of the status that is usually conferred by the adjective antebellum. Not sure about the other three closest limbs. I have tried researching it but have not found anything before getting frustrated. My grandmother that married my surname is the surname I would like to find out the most about. hbd: how in the hell did you find that post? by this i mean i think they’ll have lower levels of inbreeding for the same marriage form. so a population with a close marriage form and high population density would have (imo) lower levels than a population with the same marriage form but lower population density – hence the point about big river valleys like the Po. yes! and science has proven you right. (~_^) i’m working on a post right now that’ll show just that … if i ever get it done …. William II was married to his cousin the daughter of James the Second who was also married to his cousin. The former was acceptable whereas the latter was a good reason why he should not be King. The royals of Europe are so inbred you would think that they were Pakistanis.